So I thought today that I would show you three more that I made for the last Brushos workshop, I really love playing with all the different colours in the Brushos to see what sort of combinations you can come up with. 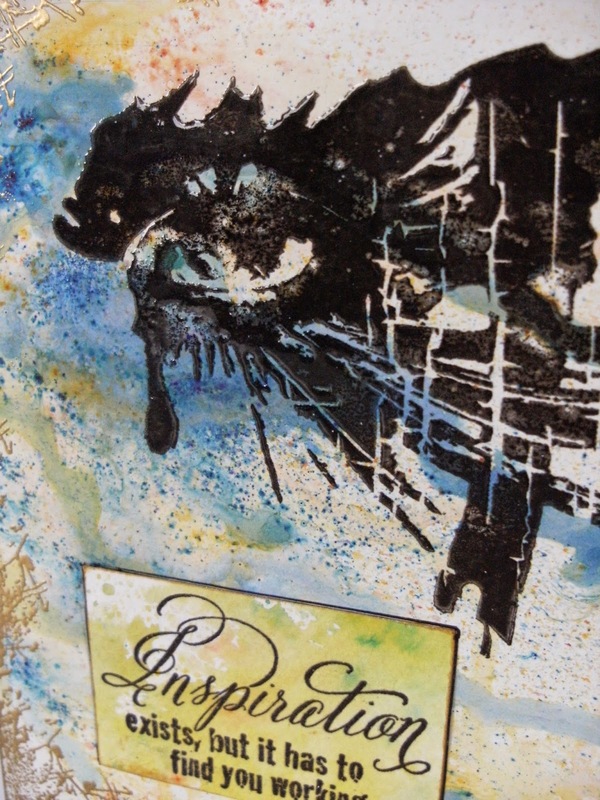 (We are expecting the reorder of Brusho sets to arrive this coming week. We'll let you know via Facebook & Twitter once they're on the website). 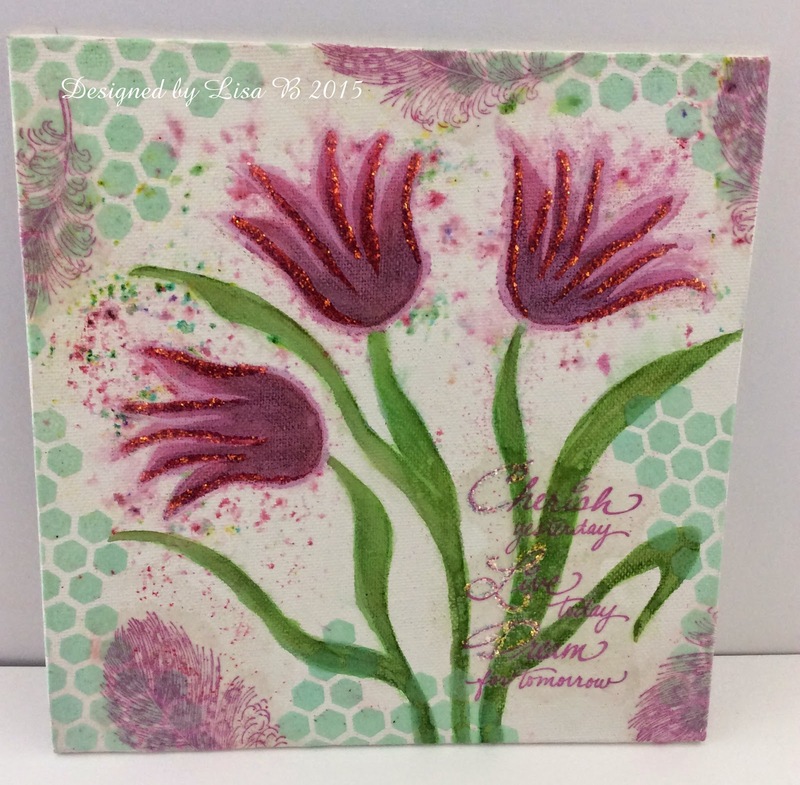 clear embossing powder, then I used the edge of the 'scratchy' stamp from the Limor Circles set around the border with embossing ink & heat setting that with gold embossing powder. 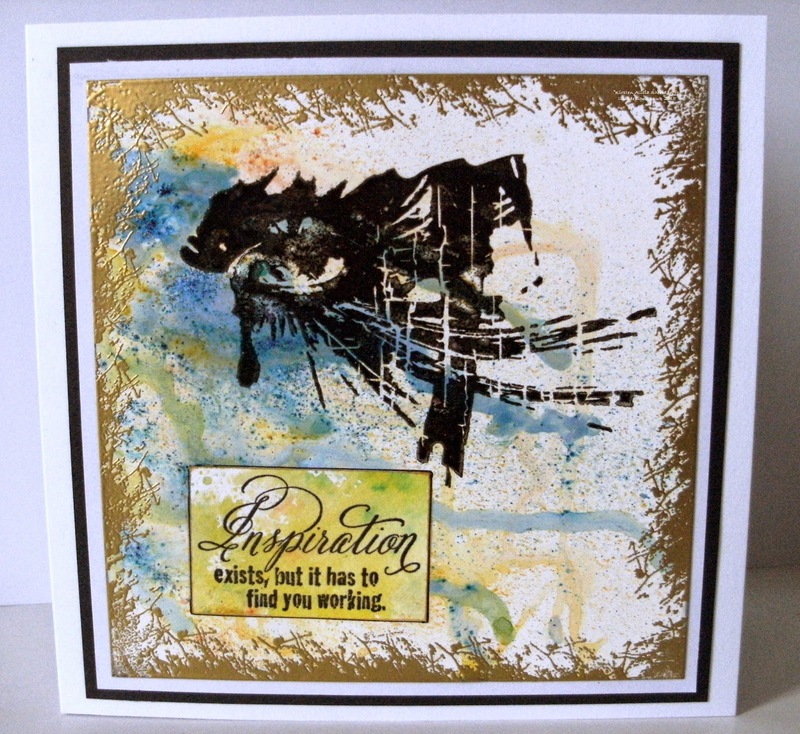 I stamped the Stampendous 'Inspiration Exists...' stamp on to a piece of scrap card. (These are just to show you the shimmer, the true colour is the one on the finished project). That's it from me for now. 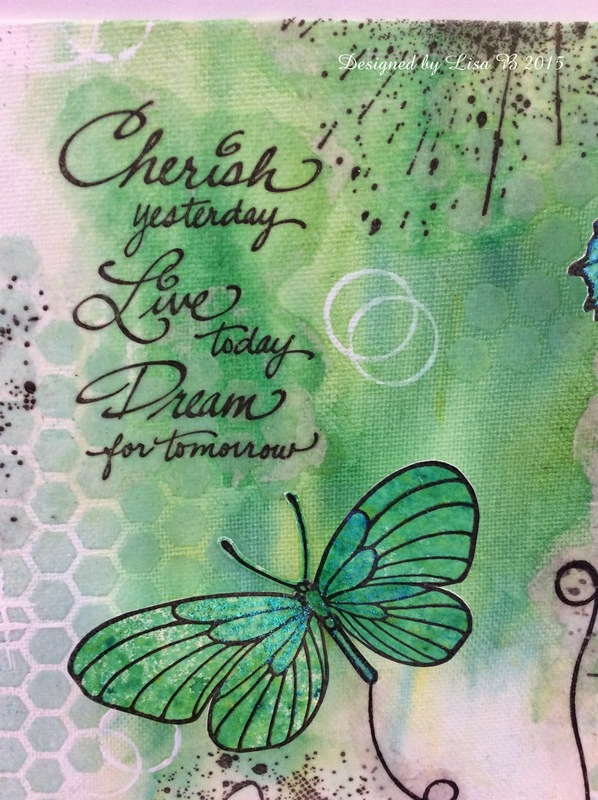 There is so much more you can do with Brusho colours & Colourcraft products - we haven't even touched on the fantastic relief pastes - so rest assured, you will be seeing a lot more of them here in the future. 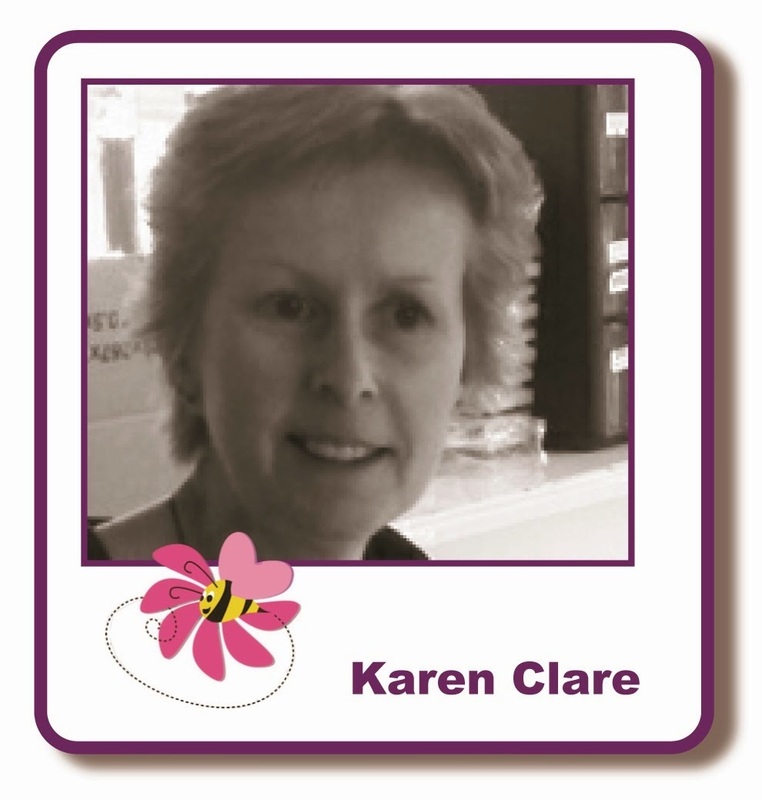 This coming Friday is Class Day in Maidstone, I'm certainly looking forward to seeing everyone. 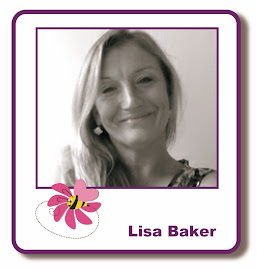 We will be using Lisa's gorgeous new stamps from Imagination Crafts, together with stencils & paint. The current blog challenge will end on Saturday night, May 2. We've had fab entries so far, but we'd love to see more. The theme is Brusho colours, of course & all the details are HERE. Hope you're having a good week, nearly the weekend. I've been a bit poorly recently but much better now I'm pleased to say and we celebrated my Mum's 90th this week. I so wanted to be at Lisa's Brusho class but wasn't well enough to attend. 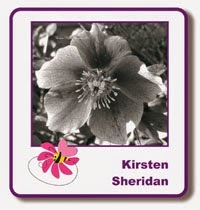 I'll be at the May class so I'm really looking forward to catching up with everyone there. 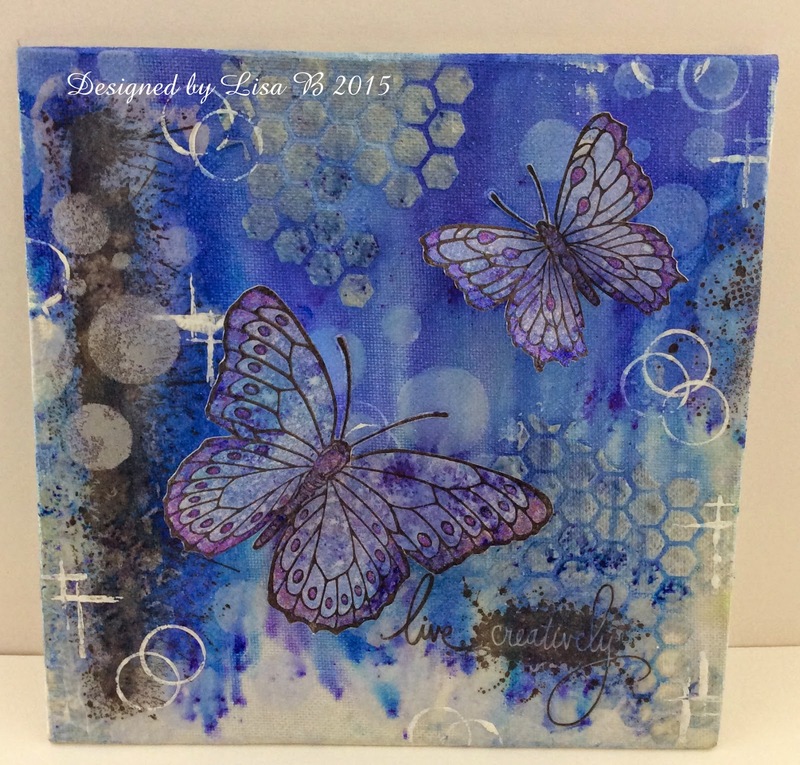 Anyhow onto my makes for today, I've made three tags using a Brusho background then added a few stamped elements. 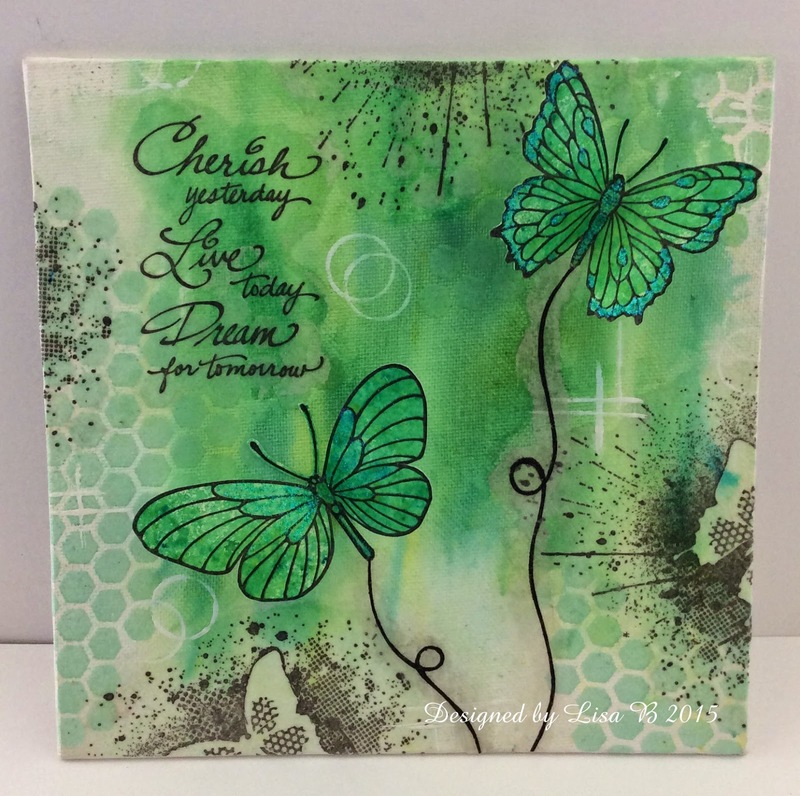 I wanted to focus on the background for this project and show you how you can achieve some great results and interest using Brusho's. 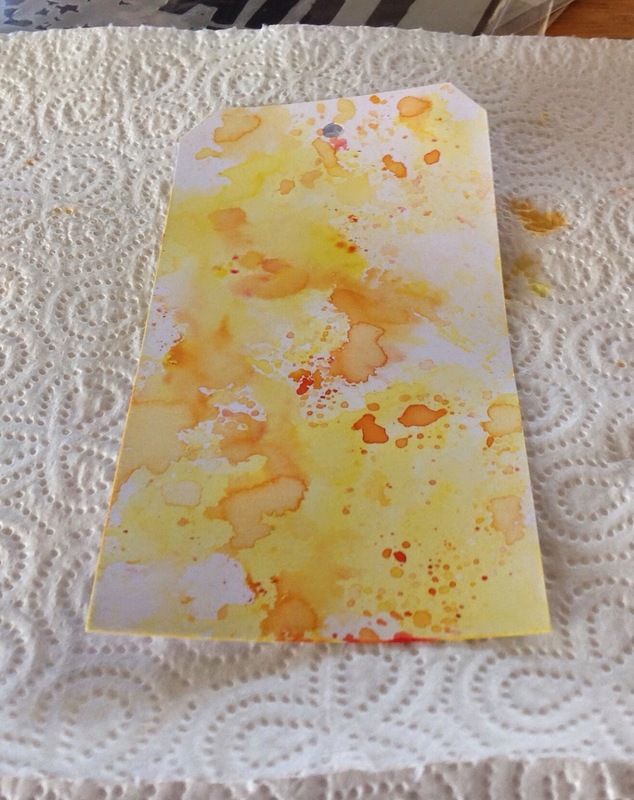 I cut my tags from a good quality card stock that will stand up to the water application or you can use watercolour card. 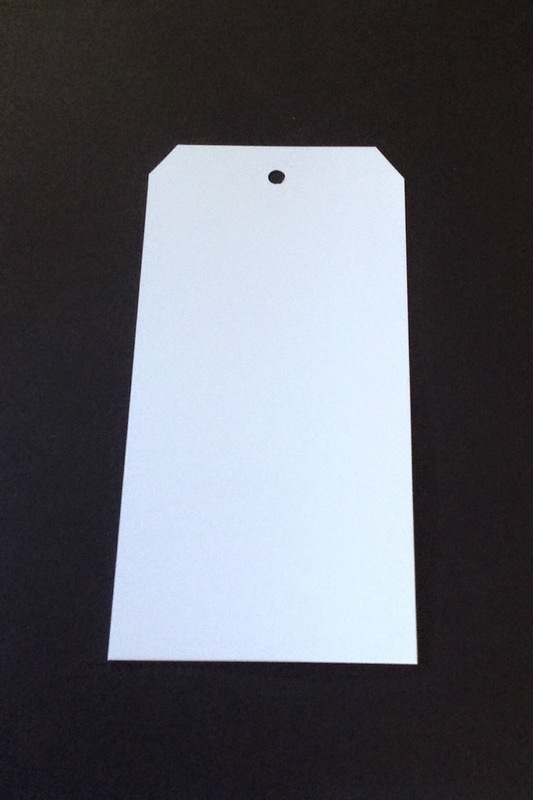 The tag sizes are 8x16cm. 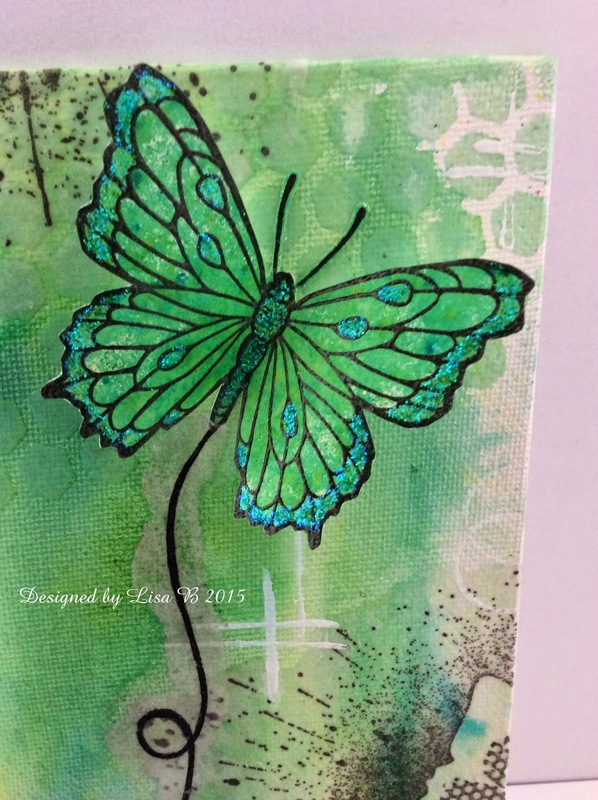 I started by sprinkling a tiny amount of my first Brusho colour, Lemon, into my craft mat, less is more and you can always add more colour! Then I spritzed this with water, a fine spray is good. 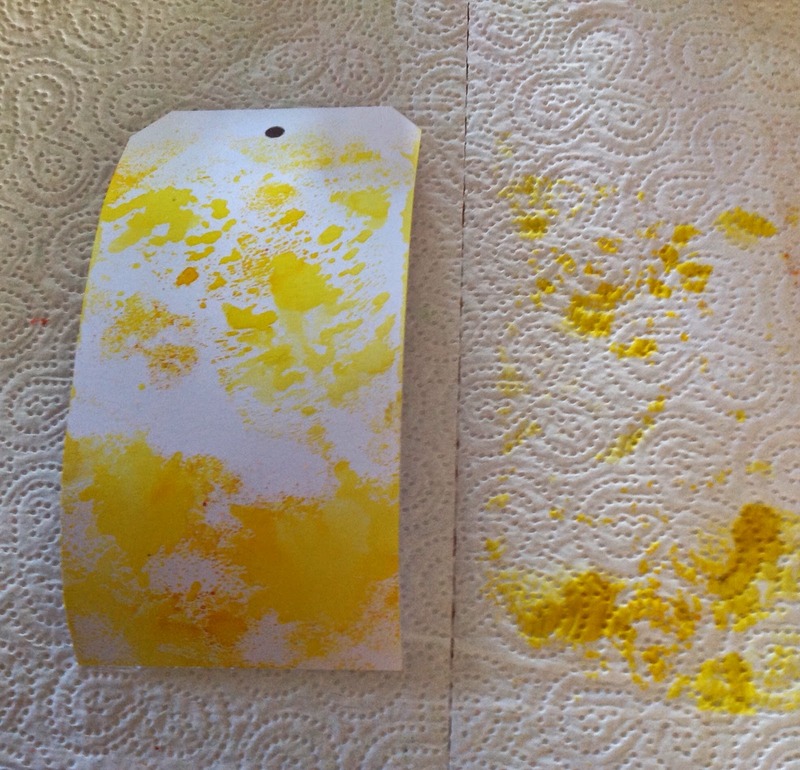 Next I put my tag onto the colour on the mat and pressed it down on different areas to pick up the colour. You can get some nice effects doing this and decide how much or little you want to apply in this way. 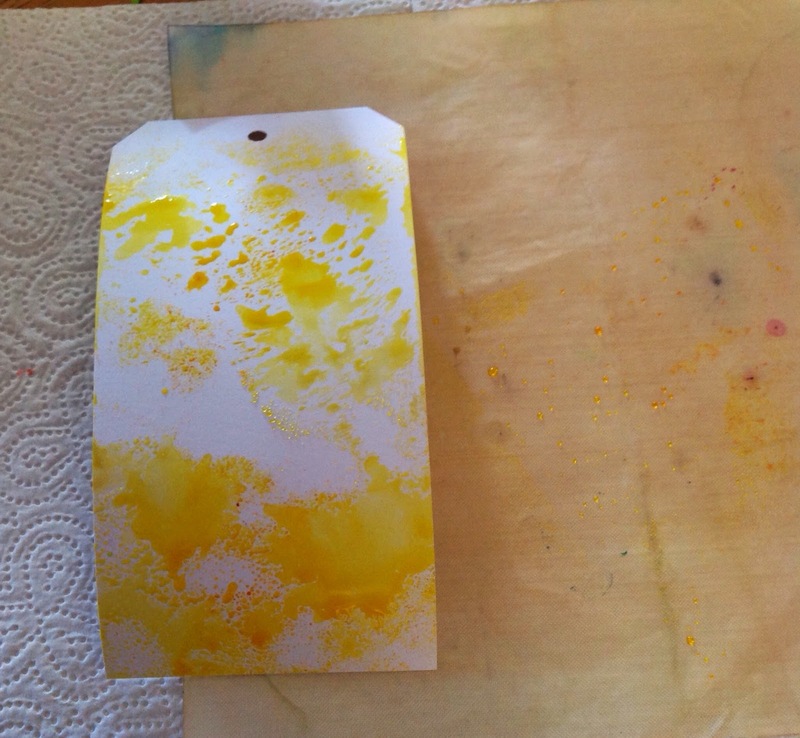 By turning and tilting the tag you can make the colour drip and run if you wish. 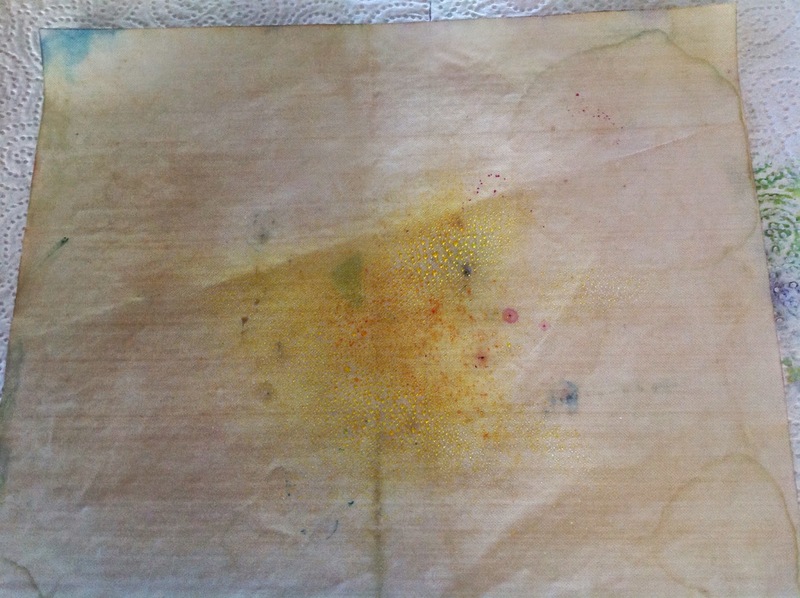 Next I blotted onto paper towel. 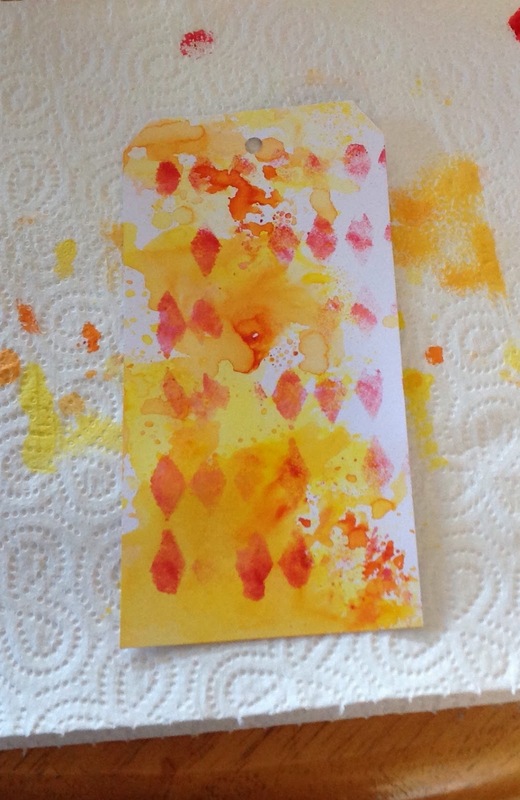 If you blot into a piece of white card you get the start of another background. The I dried with my heat tool. I used my colours from light to dark so I just left the remaining Lemon colour on my mat and added my second darker colour, Orange. Repeating the same process as before and the drying again. 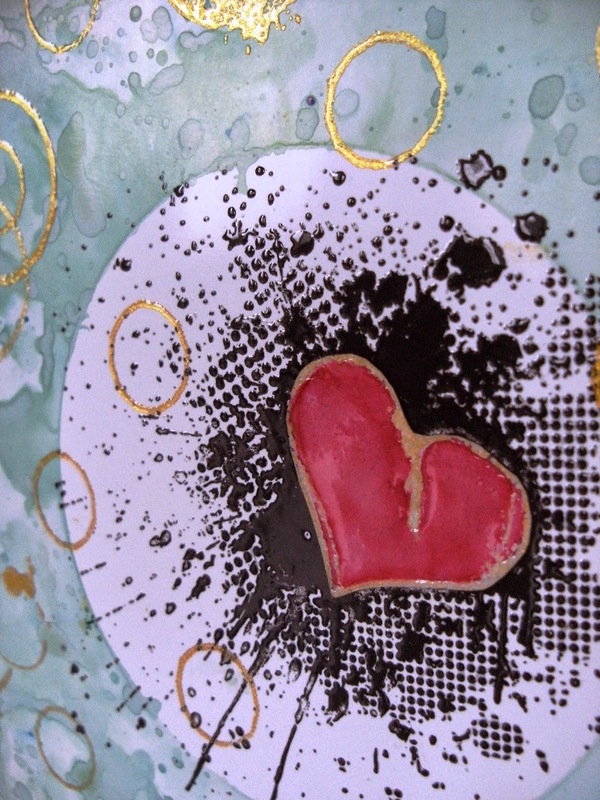 Lastly I chose a stencil I wanted to use and the added my final darkest colour, Rose Red, to my mat but hardly any water. 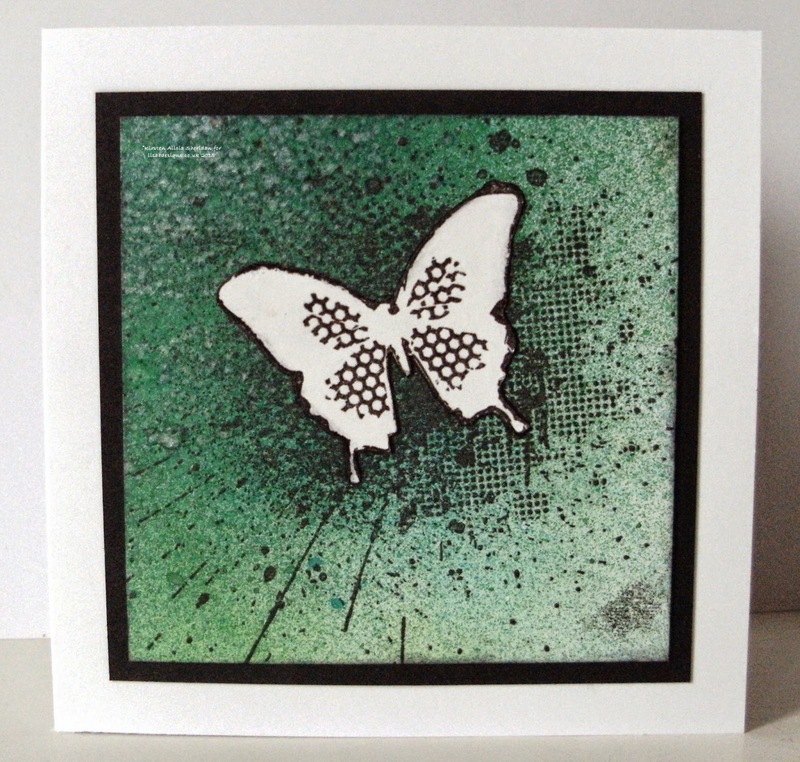 For this next process you need to use a sponge to apply the colour through the stencil but the sponge needs to be almost dry otherwise the colour will seep under the stencil. 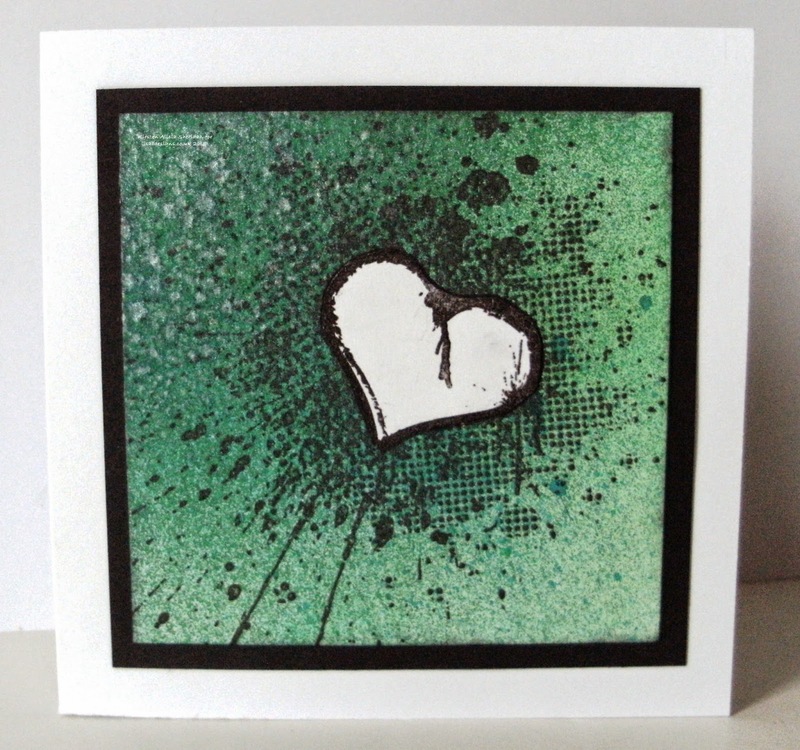 So to do this I took the colour on my sponge and blotted the sponge onto paper towel or spare card stock before applying through the stencil area. 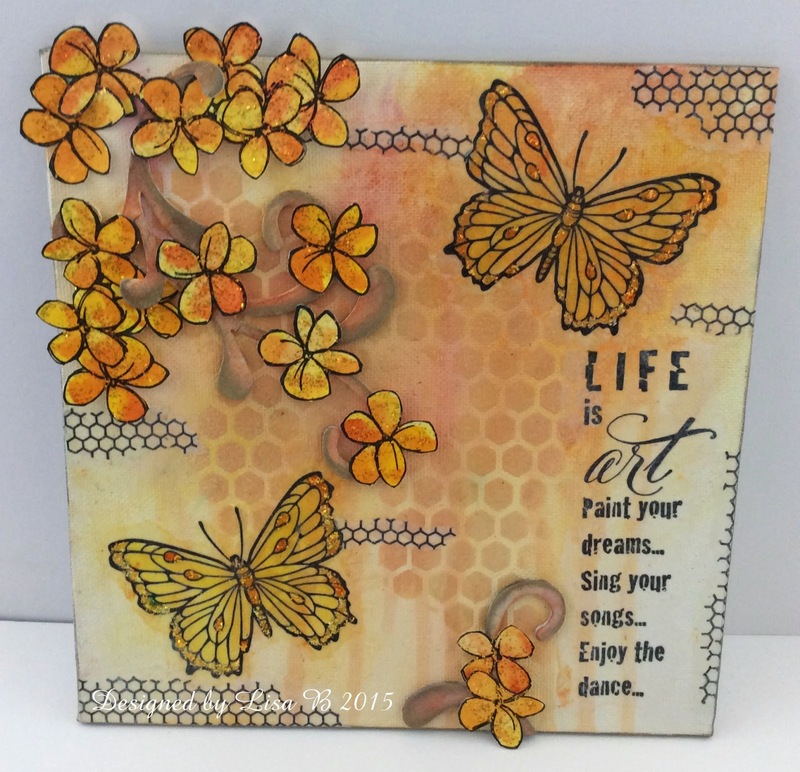 This stencil was TCW Mini Harlequin. how you can add the colour. I love this technique and it creates such arty interesting backgrounds. 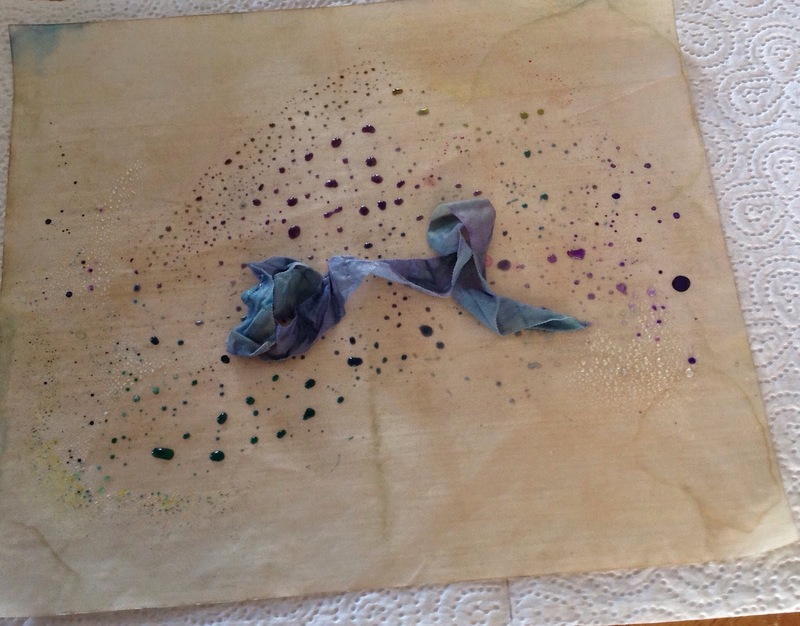 To finish I spritzed the remains colours on my mat with water and coloured pieces of seam binding for my tags and dried with a heat tool. 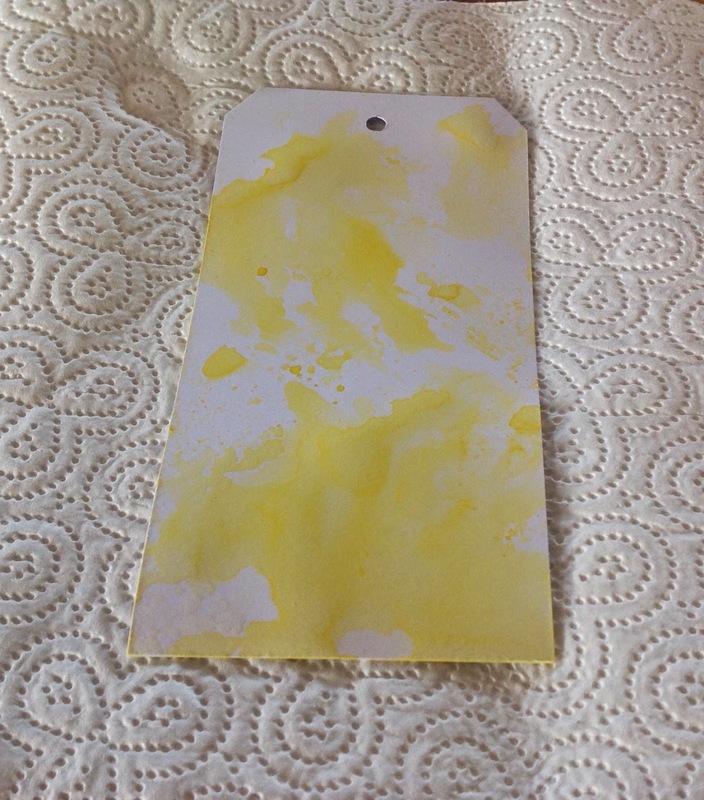 The picture below was from the colours used on the next tag pictured below. You now have a selection of tags for use on cards when you need them. 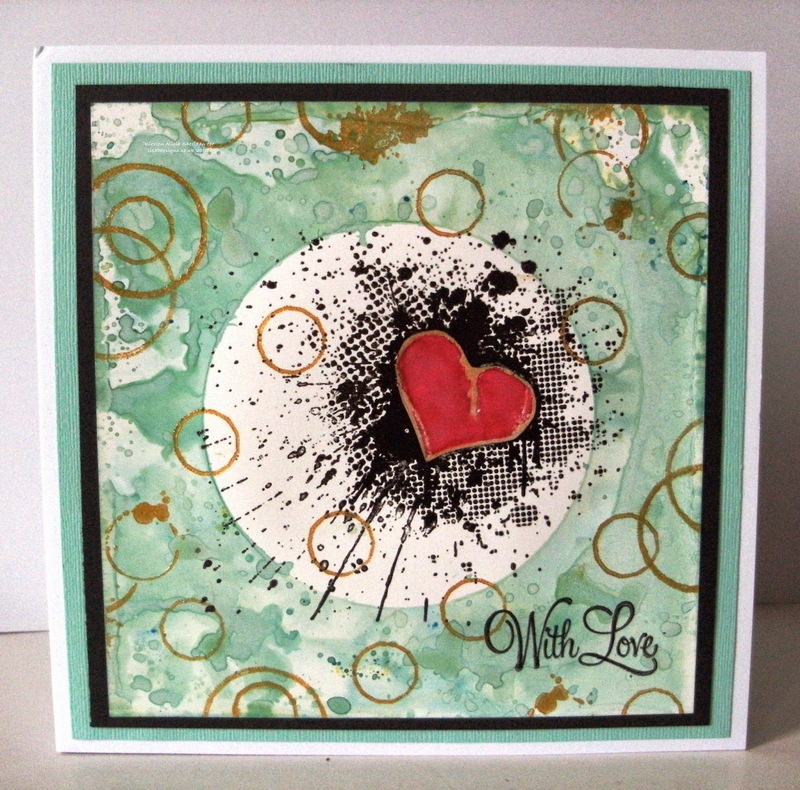 The interest is created in the super backgrounds using this technique! 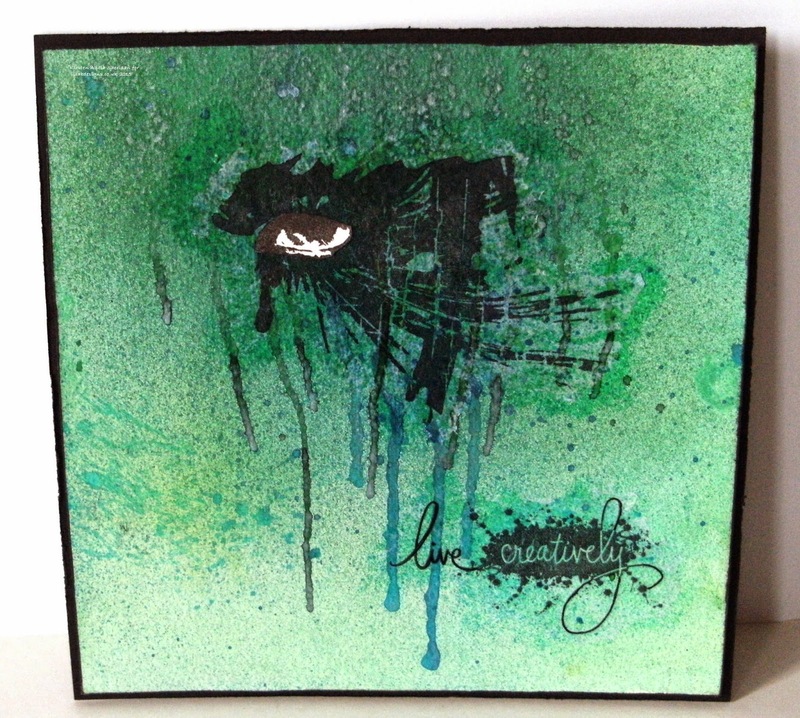 I added some turquoise and lime green Brusho crystals on to the canvas once it was dry and then liberally applied water to the canvas using a fine spritz bottle. I then tilted the canvas up vertically and let the intense colour run down the canvas and moved it around until I was happy with it and then let it dry naturally.